Discussion in 'The Sound Hound Lounge' started by Jonathan, Apr 17, 2016. Post the heaviest music you can. I want HEAVY.....headphones destroy eardrums blasted f*cking heavy. Custom50 and jerrycampbell like this. pbenn2112, JiveTurkey and Triton76 like this. Dude. That was heavy. Thanks. 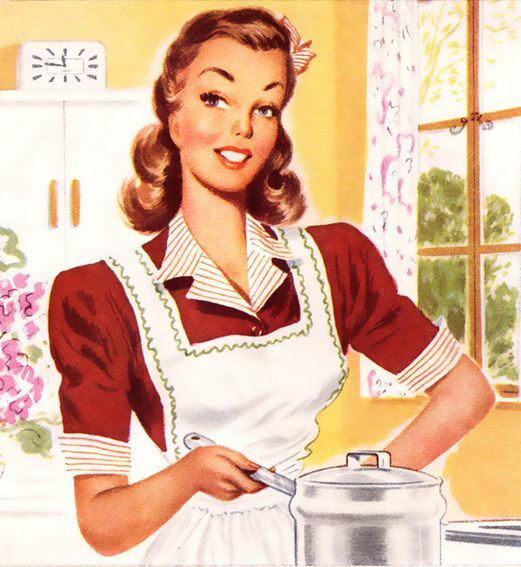 For your reward, a 50's housewife. Cropduster and Serenity like this. skeeballcore, flume and marvin cobain like this. Loved it. For you, modern retro 50's housewife. JiveTurkey, tabb74, Custom50 and 2 others like this. Can someone post something that is ultra heavy but doesn't have cookie monster vocals? thelatrobe33, NorCal_Val, MrLahey and 1 other person like this. Some Mnemic...okay, there's some cookie, but not much. Mostly just kick-assed music. Thanks, but maybe I should have said "there needs to be singing". Slayer do singing. Ah...I got ya. How about some Devin Townsend then? Guy sings like a f*cking 80's God. shoes don't fit..you don't fit ...I don't fit ..no. ianrodia, menlow, enharmonic and 2 others like this. Polvo and Chrome Dinette like this. menlow and tabb74 like this. Can we get more of these. I like this. DetSlicker, forgivenman and soulohio like this.